Left, Right & Center is on the road. 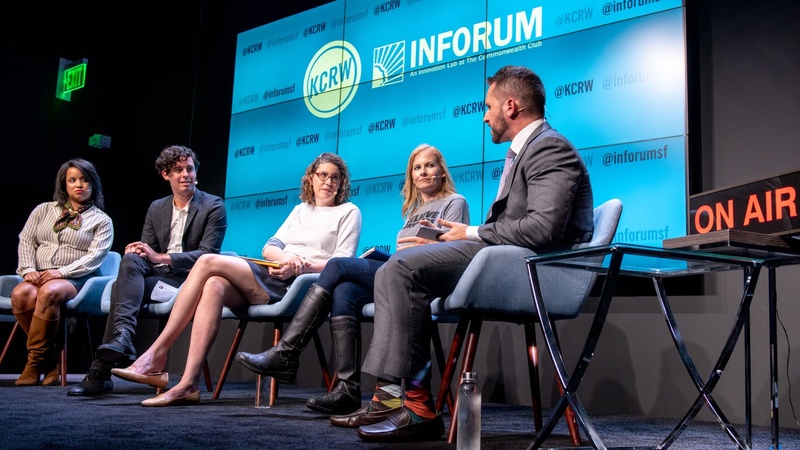 This week, Josh Barro hosts the show from Inforum at The Commonwealth Club in San Francisco with Ana Marie Cox on the left, Megan McArdle on the right, and more special guests. Ken White and Tim Miller join to talk about the president’s tax troubles — does anyone care? Should you care? And there’s still a lot to talk with Justice Brett Kavanaugh’s confirmation. How’s it playing in the polls for the midterms? Then, we’re back in 2015 and it’s Taylor Swift vs. Kanye West again. One is endorsing Democrats in Tennessee. The other is having lunch with the president in the Oval Office. Finally, Linette Lopez and Andrew Perraut give us a relationship update on government and tech. Recorded at INFORUM at the Commonwealth Club. Photo credit: Eric Ritger.